Stadiums across the country are going through massive facelifts ahead of the upcoming college football season. 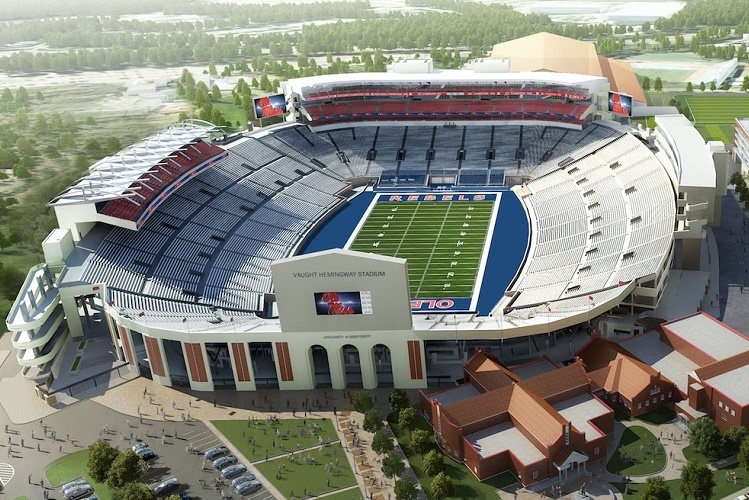 One in particular that is getting extensive work done to it is Vaught-Hemingway Stadium at Ole Miss. The renovations include a new field for the band to march on, new sections of stands to increase the stadium capacity, a new jumbo video screen to see the band's performance in HD as well as special features in and around the stadium. It is great to see a university invest so much into a stadium built for a great college band. The fans are going to love watching the Pride of the South this season..
...and the team too of course.